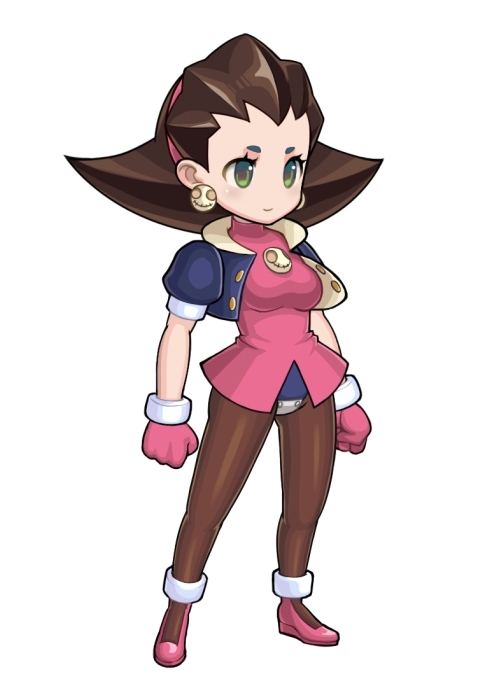 I still find it hilarious that Capcom absolutely loves giving the Legends cast cameo/promotional roles but still cancelled Legends 3. It doesn't cost them any money to give characters cameos. Well, making cameos for them is way cheaper than developing the game. That Mega Man looks a little funny lol, dig the Roll tho. I was gonna say something about dem hips. 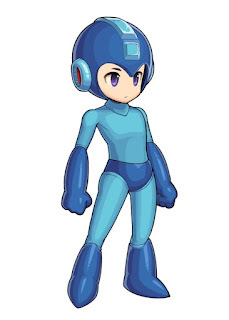 Not much worse than the buff Megaman seen on some of the North American covers of Mega Man games during the 90s. He doesn't look buff in that pick, he just looks like he has more of a human anatomy in the chest abdominal areas. I wonder why Capcom hasn't used the Smash design of Mega Man in anything. Are they not allowed to or something, or are they just saving it? I for one am glad they don't for personal reasons. UGH! 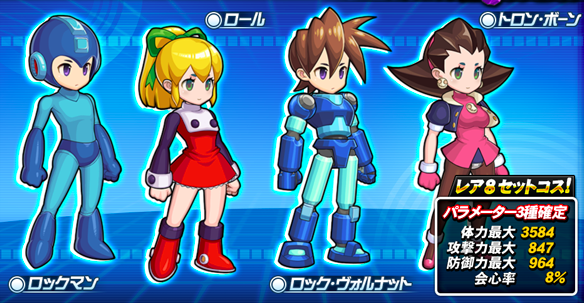 Rockman and Rockman Dash is ugly. DISAPPOINTMENT! 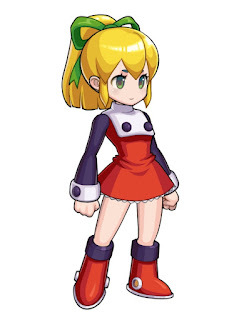 Classic Mega Man looks WAAAAYYYYYY too feminine and it's uncomfortable. Can't Capcom give us anything good anymore? Holy crap, THIS is what's Mega Man news now? I don't know how Protodude manages to be this tough. I'd be so furious having only these sorta things to write about. Should we send him a Dorito hat and some Mountain Dew vestments? I don't get the correlation between Anon1 calling him "feminine-looking" and the Doritos/Mountain Dew thing. What does Capcom have to do with Geoff Keighley? I wouldn't be so hard on these designs, they are supposed to be costumes and not the actual characters. It's even sadder when you consider they also screwed up BoF with this mobile iteration. 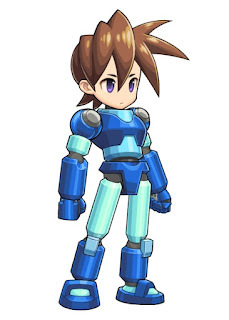 A real crossover between Mega Man and Breath of Fire would be way more amazing than this. The universe can't handle that! I mean come on man, don't you think about the things you say? Trying to get use all kiiiillllled ok.
What in the hell are you blabbering about? What are you dense? 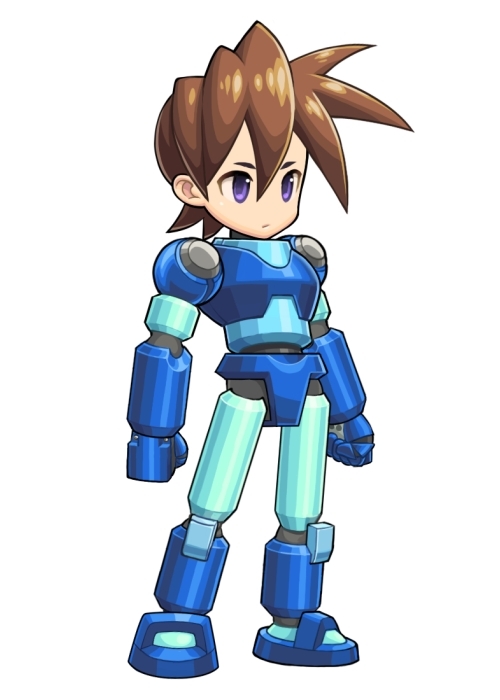 The badassery of traditional Mega Man and Breath of Fire uniting would explode the universe we live in. I mean how layman can you get? Do I need to baby talk to you or something? To the original anon and not the other one being childish and insulting you, I like your idea very much. The only problem is how to mix the two together exactly. Ryu and company aren't strangers to technology, but Mega Man and his allies seeing magic and dragons would be quite a shock for them to experience. LOL Zindkeeper "insulting", do people here wear their pants buckles up to their necks or something? I'm literally fooling around complementing his idea as being literally TOO good with a suggesting lighthearted bantering attitude. You come in with your tie tied so tight around your neck talking *I like your idea but how would Rock and friends deal with magic and the Brood clan, what would the cast look like, would it have a new reincarnation of Ryu???*. I get that it was lighthearted banter on your part and a misunderstanding on mine, but you're making yourself out to be quite the jerkass right now. You don't have any right to judge anyone me or anyone else here, especially given your behavior up to this point. The only one who is proving themselves to be uptight is you, especially with this last response of yours. Please stop replying with hostility already, this has gone on long enough. Your right sorry about that, should take my own medicine less I look like a hypocrite. Took me some time to realize that. These cameo costume things are harmless and in good fun. Nothing wrong with any of that! That said, I haven't played BoF6. If it's still going from when it started, it must be all right by mobile game standards.